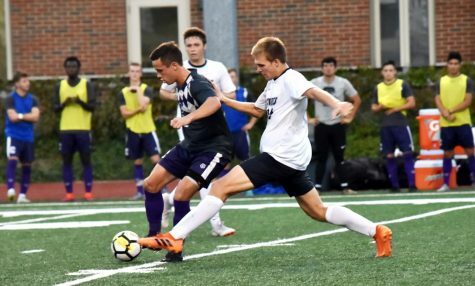 The Case Western Reserve University men’s soccer team notched another 2-0 weekend record. They beat No. 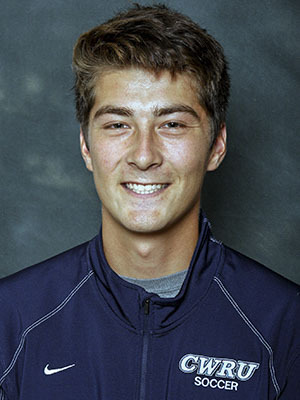 9 University of Rochester in a tight 3-2 overtime thriller and had a 3-0 blowout against Emory University. 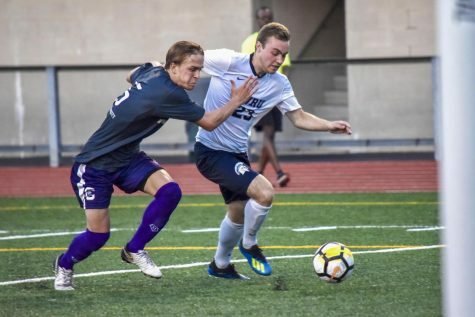 The Spartans started off hot against Rochester as third-year forward Zachary Senft found third-year midfielder Garrett Winter for a header off a corner kick in the third minute of the game. Winter leads the team in goals scored this season with eight. The Spartan offense continued their barrage with fourth-year forward Alex Besl missing a wide shot and Senft nearly scoring a goal of his own. Senft’s shot hit the crossbar and was swiftly scooped by the keeper. Rochester then counterattacked, coming close on a corner kick situation and missing two shots that went wide. Rochester ultimately scored their first goal off a deflected shot from the ten-yard line. 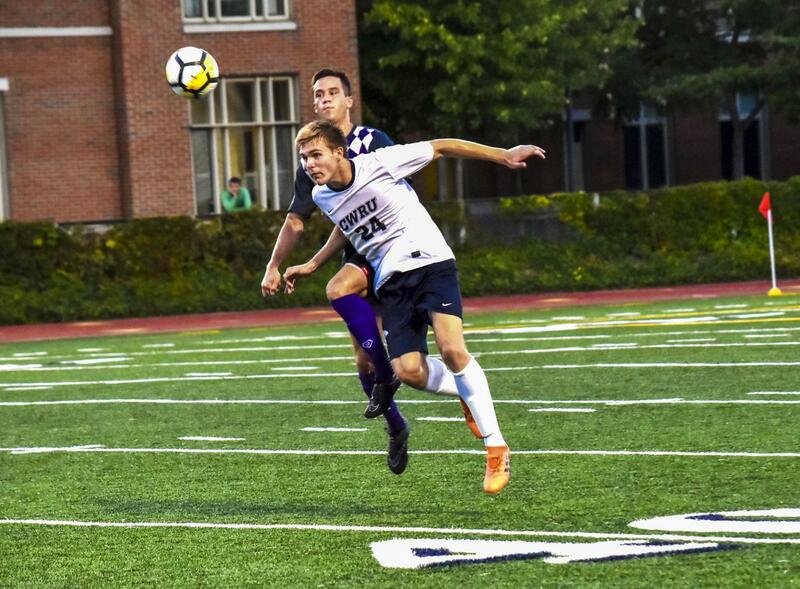 The Spartans then came down the other end for a corner, and second-year midfielder Connor Weber found second-year defenseman Nathan Eckberg for a header, which was sent to the back of the net to take back the lead. Wanting to ice the game with a third goal, the Spartans pushed the tempo and took every possible opportunity to take a shot. 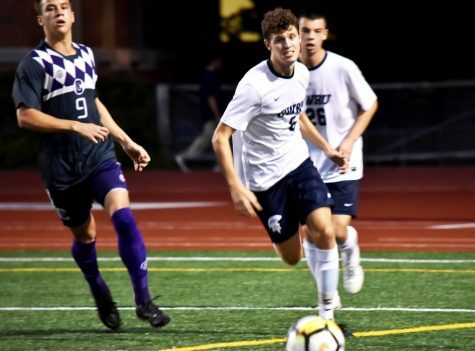 Rochester took advantage of the Spartans offensive mindedness and surprised the team by pushing the ball the other way, which led to a goal from the right wing via a low cross. Using the momentum, the Yellow Jackets took open, far shots in their eagerness to take the lead but all were blocked by the solid Spartan defense. In overtime, Weber found Besl off a long free kick pass, who headed the ball into the lower left corner of the goal to secure the win. Against Emory, the Spartans figured out the Emory defensive scheme early in the game and were able to break it down. The game started slightly chippy with the Spartans refusing to allow any penetration from the Eagles offense, which resulted in two fouls. Once the pace slowed, the Spartans counterattacked with Winter missing a wide shot and Besl’s shot saved by the keeper. The Spartans continued to play tough, picking up another two fouls and an offside, with Winter missing another wide shot, which led to a foul in the goalbox. 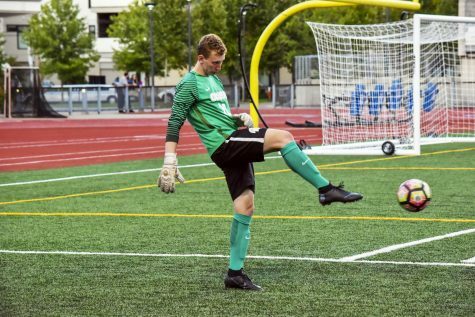 Senft converted the penalty kick to extend the lead to 2-0, making him the team leader with 21 points (seven goals and seven assists). With the lead, the Spartan reserve players came on to give the starters some rest. Emory took this as an opportunity to score, but Fink managed to save both shots attempted to end the half. The Spartans continued to dominate on the offensive end to start the second half, leading the Eagles in shots taken 10-3. Although the Spartans created clean looks, the opposing goalie stepped up as the defensive anchor, recording three saves in the second half. However, the Spartans found themselves again fouled in the goalbox after the opposing goalie received a red card. With the reserve goalie called upon first thing to defend a penalty, Weber easily made the shot to complete the 3-0 shutout. 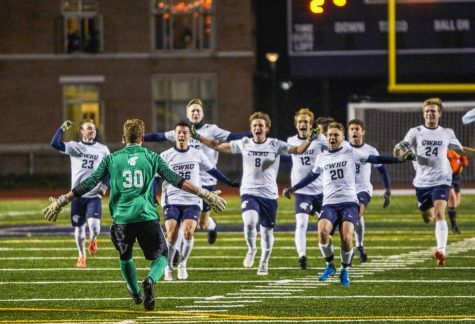 “So based on the scouting report, this goalie was not the regular goalie for [Emory,] he thought [a Spartan player] threw the ball at him and [tried retaliating], that’s why he got the red card,” commented Besl. The Spartans will look to finish their season strong against Carnegie Mellon University at Pittsburgh. They will play their final game of the season on Nov 3. Depending on the outcome of University of Chicago’s final game, the Spartans have a chance to win the University Athletic Association. Having these wins will also help to get home field advantage in the NCAA Division III playoffs.